A week later, the same guy stuck his head in the shop and asked, 'How long before I can get a haircut? 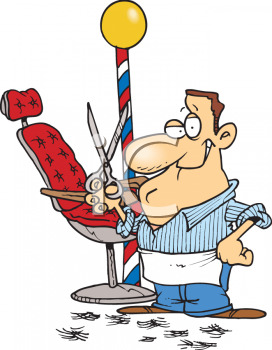 The barber looked around the shop and said, 'About an hour and a half . If you can't laugh here, definitely humour isn't your game. Sorry lah!!! Coz I believe - "A person who can bring the spirit of laughter into a room is indeed blessed"